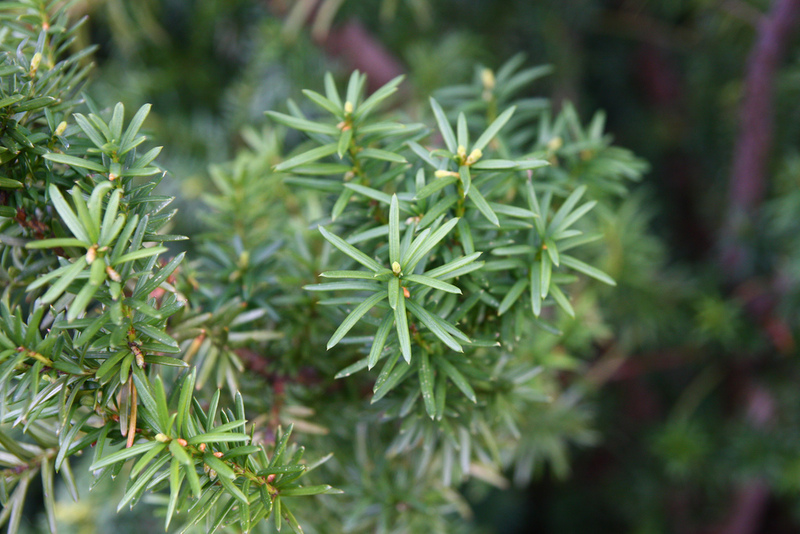 Origin/Ecology: Garden origin, cross of T. baccana (English yew) and T. cuspidata (Japanese yew). Habit: Height ranges from 2-20′ tall depending on cultivar. Leaves: Two-ranked, pointed, oblong to needle-like, olive to dark green leaves. Flowers and Fruit: Dioecious. 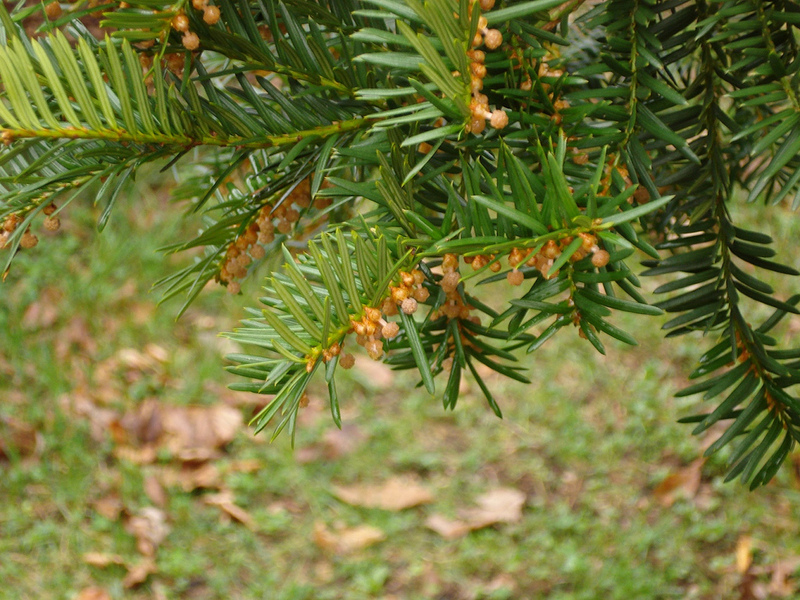 Females produce red, berry-like fruits inside of cones. Each fruit has a single seed almost completely surrounded by a fleshy red aril. Water Use, Soil: Average, medium moisture, well-drained soils. No tolerance for wet conditions. Exposure: Full sun to part shade. 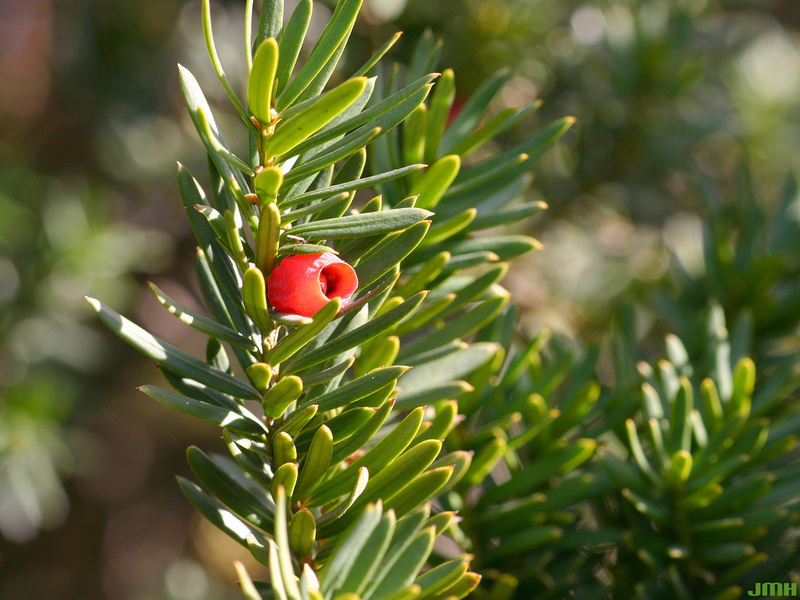 One of the better evergreen conifers for shady conditions. Landscape Uses: Foundations, screens or hedges, masses/groups. Limitations: Susceptible to winter burn in exposed sites. Twig blight, needle blight, root rot, weevils, mealy bugs, scale.